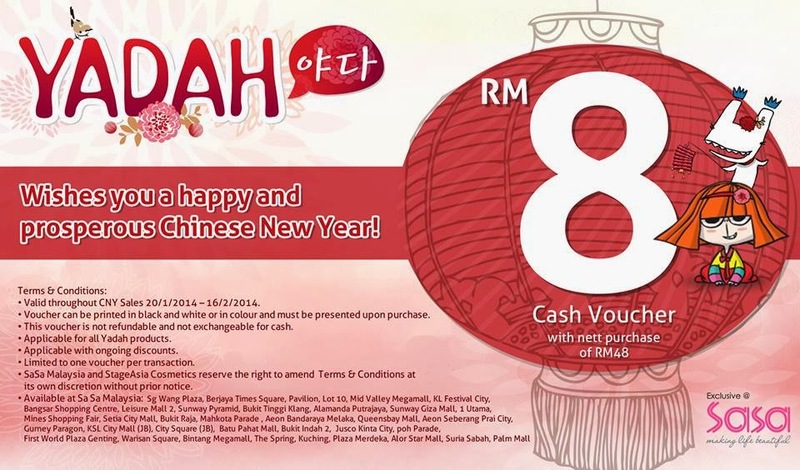 original.kerchi: YADAH • Product Review & CNY Event ! HELLO YADAH ! ! Isn't she cute ? 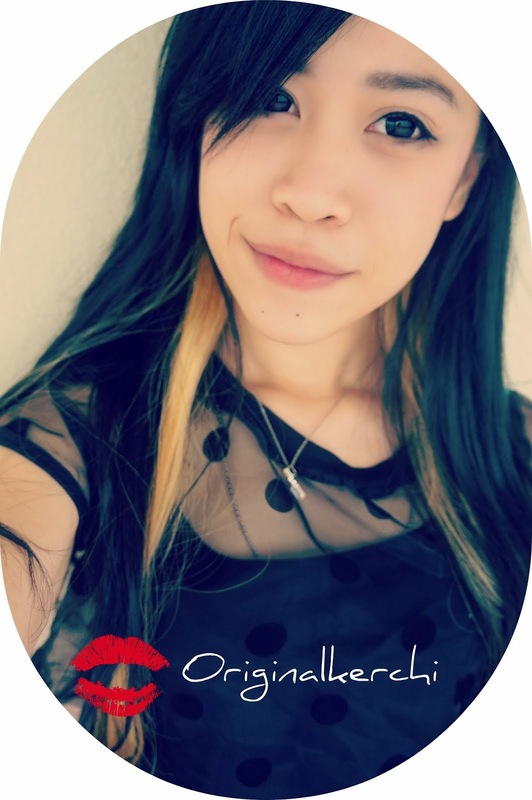 I'm sure most of your ang pau collecting is still on-going.. Hope you all are still reading and staying tune to my blog. Because this is one of those post that will definitely benefit everyone ! 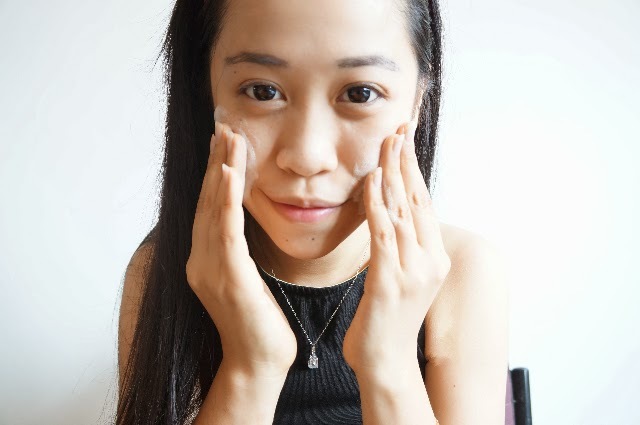 I'm will be blogging about The blogger CNY promo & also a short Product Review at the end about YADAH's latest products and best sellers ! YAYYY.. and then got discount voucher also !!! Hope you are as excited as i am ! hahahaha..
Beginning of the year YADAH had collaborate with The Butterfly Projects to organize a blogger event for all the butterflies ! So i one of the few lucky ones who got invited to the HUGE event ! & yes, Butterfly Projects always host an awesome event ! (all thanks to our MAMA-SAN, Tammy & gang ! ) :D ! When we came and got a sit, everyone non-stop talking (it was like secondary school all over again.. haha) Cause i guess it had been awhile since we have met, and we saw some new faces as well.. Elaine ( Yadah's Product Manager) was trying her best to contain us with all the noise ! hahaha... Like school teacher asking the students to focus in class XD ! hahaha.. Once the slide show begin, everyone started focusing and constantly taking photos ady ! 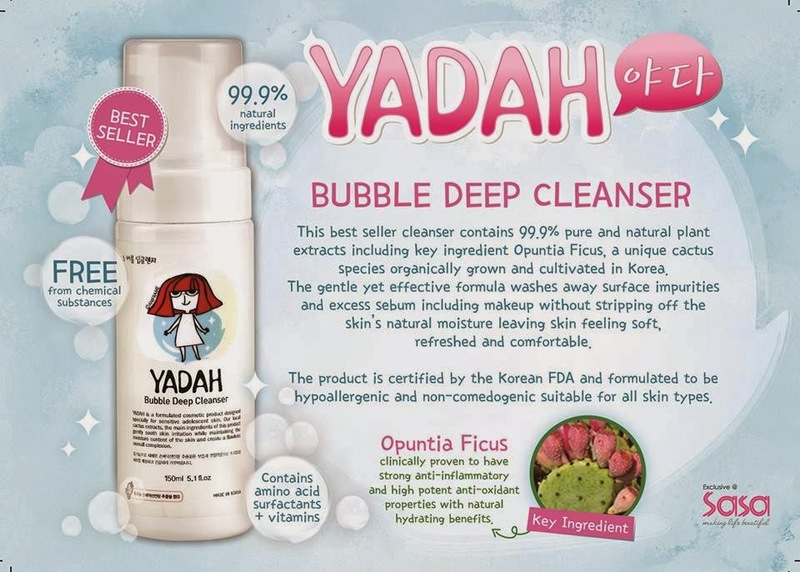 Why is Yadah so special compare with other Skincare brand ? YADAH is a natural & authentic skincare & cosmetics formulated with botanical plant extracts. It's also a range of botanical skincare products formulated with natural plant extracts like essential oil, floral water, barks & traditional herbs, etc.. that works in prefect harmony with our skin. This gentle & effective formulas are 100% free from artifical coloring, preservatives, mineral oil, sulphate & do not contain animal extracts of any kind. It's very suitable for young skin, because tender skin is more vulnerable to harsh chemicals. All Yadah products are certified by the Korean FDA and are formulated to be hypoallergenic & non-comedogenic with a mixture of botanical ingredients that are natural, organic & some with Ecocert authentication as well. Best Seller, YADAH Sweet Milky Tint. It was launched in Dec 2013. This sweet milky tint has been called as "Gem in a bottle" because it contains semi-precious gemstones to help retain skin hydration with a touch of natural shine ! Not forgetting, it's ( of cause ) 100% free from artificial coloring & preservatives ! :) The unique color from the tint are extracts from Tomatoes & Gromwell flowers..
Oh-My Sunblock has recently launched on Jan 2014. It's a lightweight moisturizing sun cream that provides a daily barrier to protect your skin from all the harsh UV rays..
All the benefits of Yadah's new Oh-My Sunblock ! After the slideshow, they had a product testing for us to test 3 of their products ! The Yadah team had prepared for us 3 different type of sunblocks, and (of cause) one of it is Oh-My Sunblock.. We were suppose to feel the texture of each sunblock and choose the correct one according to the description of Yadah's Oh-My Sunblock. with the testing of these three sunblocks.. (as you can see from the above pic) From the left is A, B, C sunblock. A has a very strong perfume smell and has a light shade of skin color, B texture is slightly runny (because of that, it's really easy to apply) and the sunblock has a very natural smell and lastly C has a more thick texture and the color of the sunblock is quite similar with the color of a foundation.. So i'm sure, with my description of each sunblock, you can guess ady right ? Of cause, B is Yadah's Oh-My Sunblock.. ! The second test was the Bubble Deep Cleanser. To test this cleanser, We were instructed to use a liquid & pencil eyeliner to draw on our hands, and to use the cleanser to remove it. 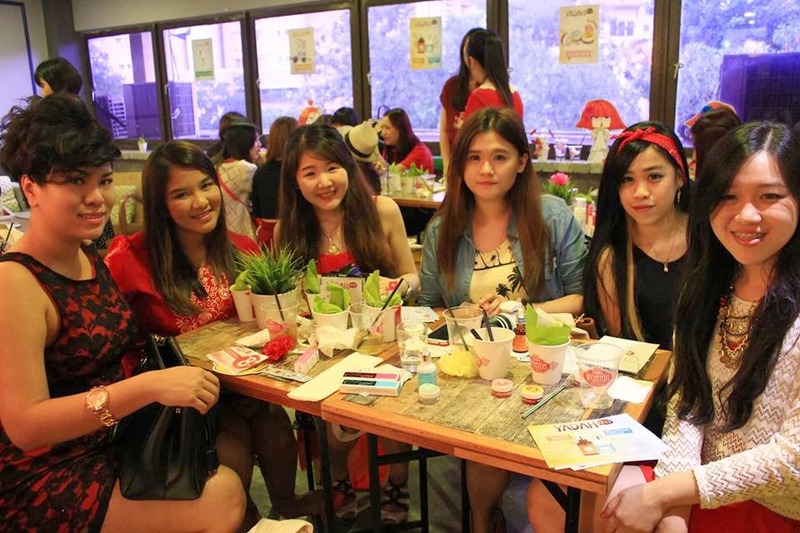 With these Lip tint Balm testing, they wanted to find out the endurance of the cute tint balm ! So they had 2 volunteers to have a EATING CHALLENGE !! To begin the challenge : Both contestant have to apply the Lip tint Balm. Then, within 20secs they have to finish the whole bowl of noodles prepared by Little Wonton ! The QUEEN was Jennifer ! hahaha.. she was so kan cheong that she quickly used the tissue to wipe off the lip balm on her lips.. HAHA! She even told me that, there were some pieces of noodles that on into her clothes XD ! After the slideshow, It's time for us to enjoy our meal prepared by Little Wonton, and also to go around to test out Yadah's product which is actually place on each table and also around the Cafe. Yadah says NO to Chemicals ! 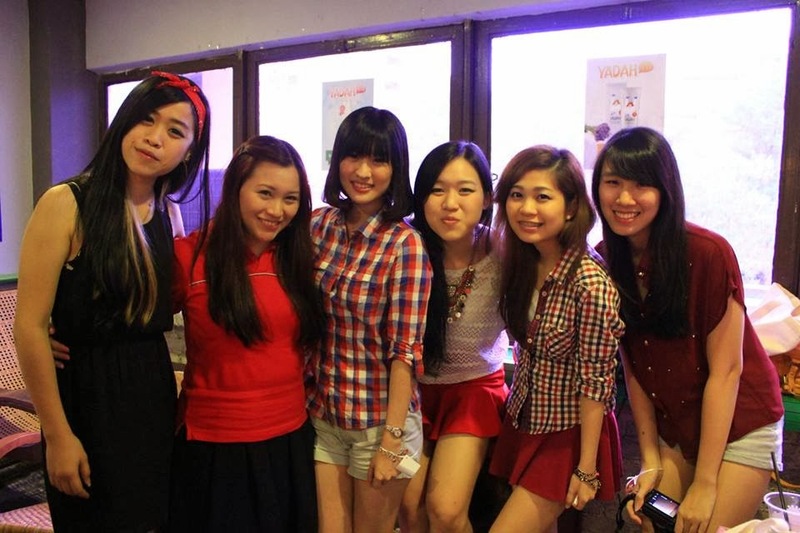 The sister's with the Lovely Elaine, She's really nice and friendly.. & also super funny.. HAHA! She was saying, "take nicer pictures, Don't make me look fat ! " HAHAHA! With the beautiful Ladies ! another photo credits from Nala as well..
First off, I shall start with Yadah's Newly Launched Oh-My Sun Block (SPF35 PA++) RM49.. It is said that this sunscreen is 100% colorless & transparent (zero color pigments) which means you do not need a makeup remover to remove it, it is also highly moisturizing, fast absorption, non-tinted, non-sticky and non-greasy. This is Sunblock has a very lightweight texture and also a matte finish, so it will make you feel like you are wearing almost nothing on your face. It's safe to use on children. What i think, After trying it on. I would have to admit it's really light texture. and very easy to absorb. My skin is consider quite sensitive. So sometimes using the wrong sunblock, my skin tend to have this burning sensation. But with this Sunblock, it really feels like i didn't apply anything. I really love that it's absorbs really quickly, cause i don't like the feeling of a layer of cream on my face.. It's so easy to blend the Sunblock, & no joke, it absorbs really quickly ! So it doesn't leave like that oily feeling.. So this Sunblock is definitely a TWO TUMBS UP for me ! It is said that, This Lip tint is one of the Best Sellers in Korea, It's allergy free, non-sticky, & non-greasy. It is 100% free from any sort of artificial coloring, preservatives, mineral oil, sulphate & animal extract. The color from the Lip tint comes from Tomato & Gromwell Flowers extract. It also contains gemstones to help retain skin hydration with a touch of shine. It also contains, Common purslane, Gingko nuts, Common Fig, White Mulberry, Pomegranate & milk..
My review, Lip tint is one of My favorite cosmetic product ! I'm kinda a lip tint fanatic ! I used to hate applying any type of lip make-up. Until when korea started coming out with lip tint, I immediately felled in love with LIP TINT. But even so, it's really hard to find a good quality Lip Tint. Cause some you apply on, then after 10-20 mins the color fade.. The reason why i Love LIP TINT, it's because it gives you a natural radiant to your lips without the lip stick texture.. That's why i really fall in love with Yadah's Milky Lip Tint. Comparing it with other lip tint i tried, this is the only lip tint that moisturize my lips and leaving it with a natural radiant ! & it's so easy to apply on your lips, the texture is smooth and it doesn't crumple on your lips. It is said that, this mascara is able to extend lash length while providing a smudge-free definition to your lashes and it is also water-resistant. It's really easy to remove, just by using luke-warm water. It also contains ample cellulose to enrich lash volume and curl, it is also free from Paraben ( harmful substance that said to cause cancer.) It provides long-wearing curls and volumizes, lengthens the eyelashes without smudging. This mascara provides everything, from volumizing to lengthening. & it has a very smooth application. It's valid until 16 February 2014 ! That's all for this post.. So If your interested in getting YADAH's Products, you can visit your nearest SASA Outlets.